The fall is an exciting time as the seasons change and young children prepare for a new school year full of hope and promise. Unfortunately, for children living in poverty, excitement is often replaced by shame and embarrassment. These are the kids who don’t have new school shoes or a handsome new uniform. In many cases, they don’t even have the basic supplies they need to attend school. 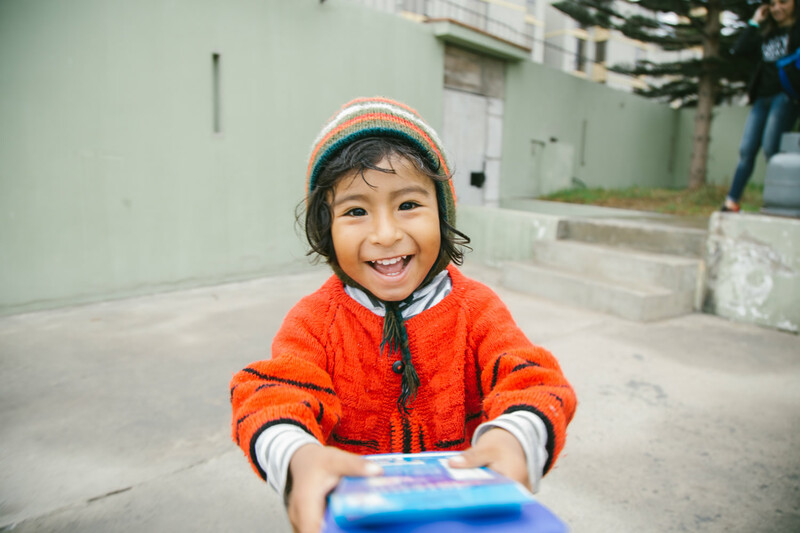 Thanks to our Orphan’s Promise staff and our partners on the ground in Peru, we’re restoring the hope for a new year and eliminating shame and embarrassment by providing backpacks full of school supplies for children in need. Children aren’t the only ones who are impacted by poverty when it comes to school. Many parents feel incredible shame when they cannot provide for their children’s basic needs. Often, these parents will keep children home from school, afraid of the teasing and cruelty their kids may endure when they show up to class without pens, pencils or paper. No child should be denied an opportunity to receive an education because of their family’s financial hardships. Our back to school supply outreach in Iquitos, Peru is lifting the spirits of parents and their children and generating excitement about the school year to come. Children can become so used to the poverty they live in, that they stop dreaming about a brighter future. As they receive the school supplies and realize they’re being equipped to start dreaming again, the looks on their faces is priceless. One young boy, below, shared the many emotions he felt when told he would be receiving his very own backpack full of everything he would need to attend school. Look at the joy in his smile! The effects of poverty in Peru are widespread, and many families – who cannot afford school supplies for their children – struggle to put food on the table as well. In addition to backpacks full of pencils, pens and notebooks, children who attend our outreach programs receive a warm, nutritious meal. For the vast majority, this may be the best meal they’ve eaten in a long time. We want to be sure that we’re helping them grow, not only mentally, but physically and spiritually as well. Every child receives a Superbook DVD (Superlibro in Spanish), which introduces them to the God of the Bible, and helps them begin to understand God’s Word by providing great takeaways for parents to help their children develop character and integrity. We partner with people who want to change the world. Together we can transform the futures of children in every corner of the earth. Are you ready to join us? Let’s make a difference in more lives and in more places this year than we ever have before. WILL YOU JOIN US IN TAKING THE HOPE WE HAVE TO THE CHILDREN OF THE WORLD?